If your family is like many others, you’re finding a generational gap between seniors and younger family members that may be hard to bridge. Technology often takes priority over the more personal, face-to-face interactions that seniors grew up experiencing, and it can be challenging to set aside the iPhones and tablets and fully engage with each other. At Hired Hands Homecare, we’ve discovered a tried and true activity that captures the attention and interest of all ages, especially during the holiday season: working together to create a memory book. Memory books capture the life and legacy of a beloved family matriarch or patriarch, and become cherished keepsakes for generations to come. When and where did you meet your spouse? What are some important values and traits you possess that you would like to see continued in your family? What is one thing that you would have liked to have done, that you did not have a chance to do? 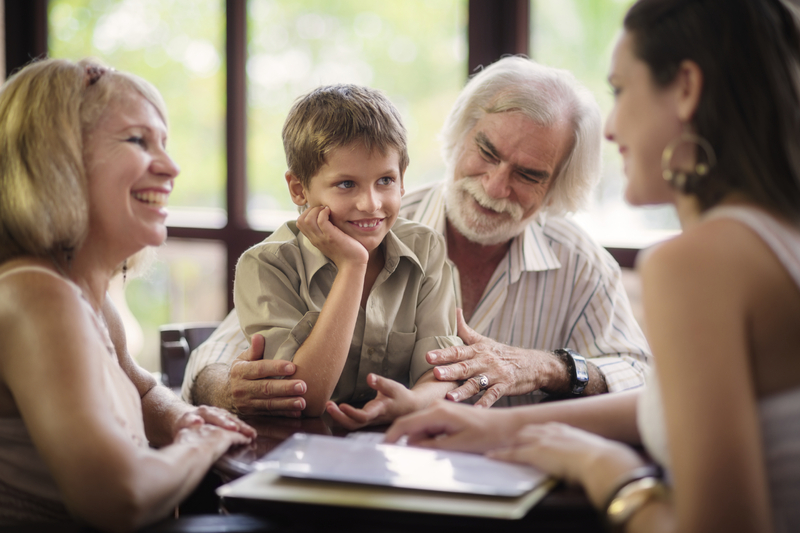 Involve the kids by having them interview Grandma or Grandpa or ask questions about old photographs, and allow the older youth to provide the technology to enhance the final memory book presentation, which can then be shared together for the whole family to enjoy. We’d love to hear how your family’s memory book turned out! Share with us some highlights of your experience and any other tips that you’ve found successful in celebrating the holidays with your senior loved ones. We’ll in turn pass those ideas along in future blogs or on our Facebook page to help other families. We’re all in this together! And, if you could use a helping hand during the holidays, allowing you the opportunity to take a break and know that your loved one is in the best of care, call the award-winning California home care team at Hired Hands Homecare!